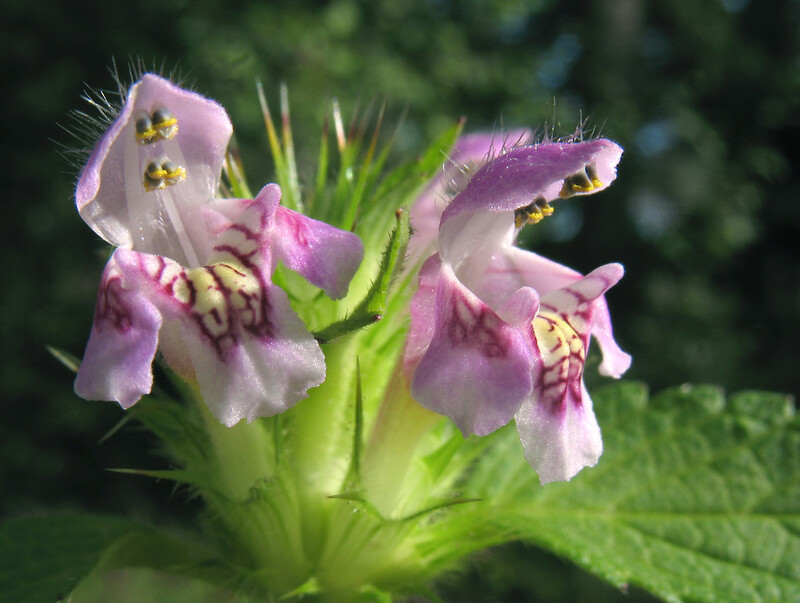 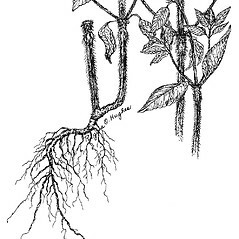 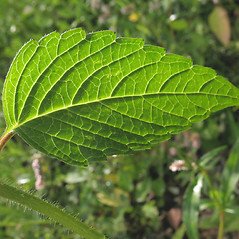 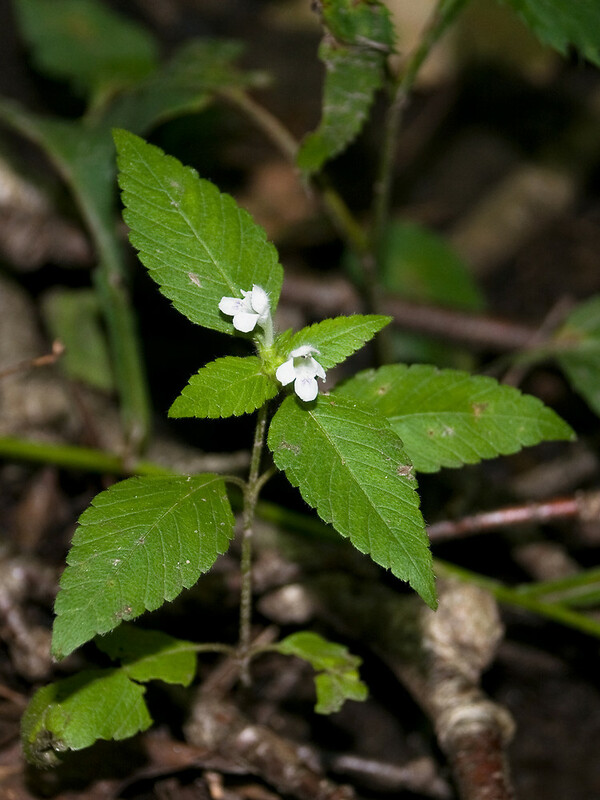 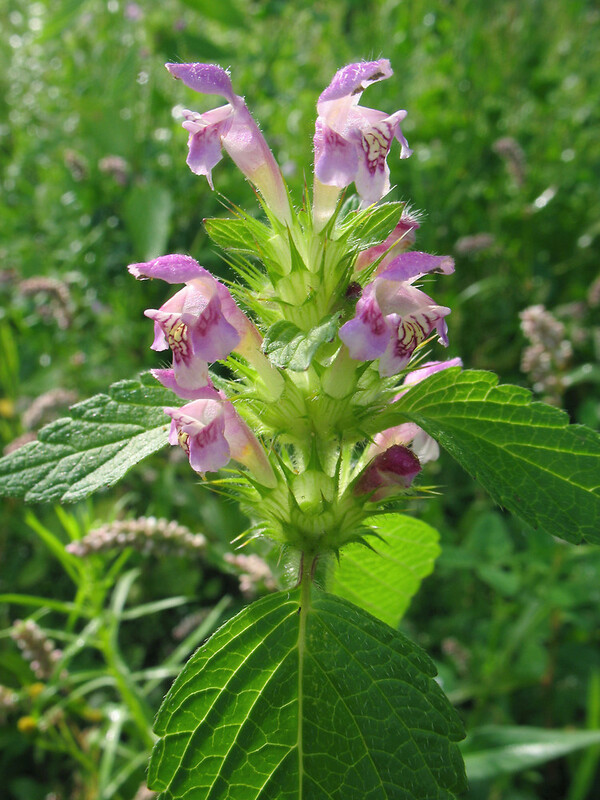 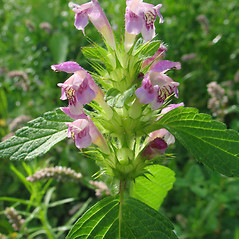 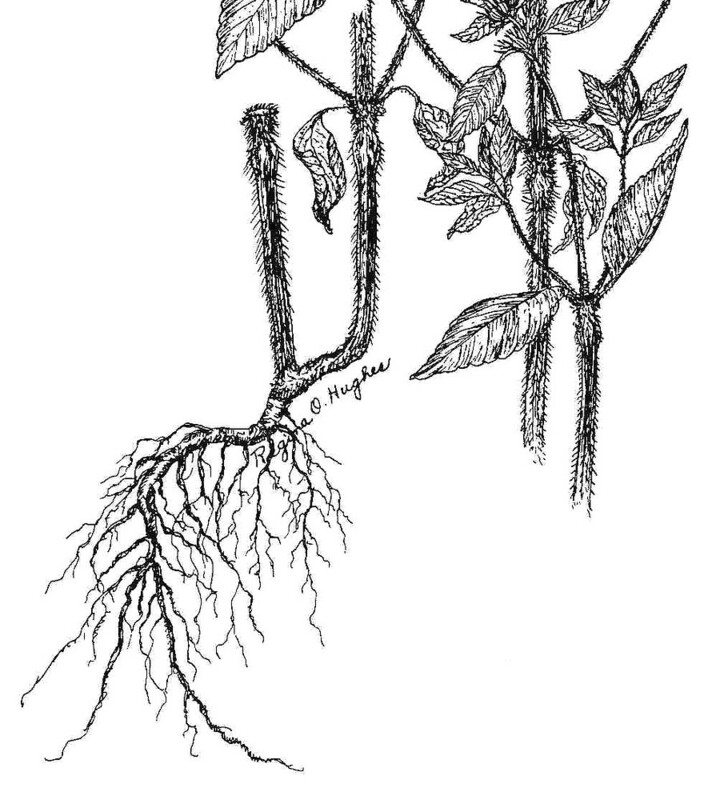 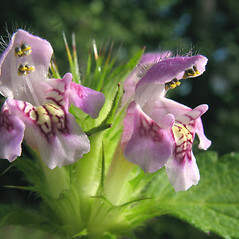 Although brittle-stemmed hemp-nettle is not native to North America it has been here long enough that the Iroquois incorporated it into herbal medicine, using an infusion of the roots to induce vomiting as an emetic and cure for bewitching. 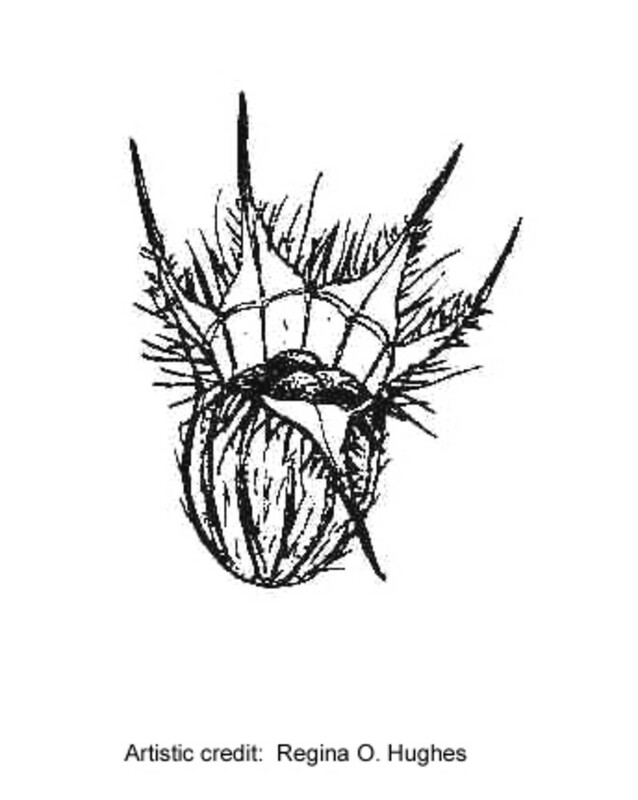 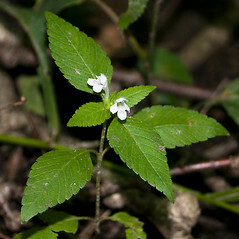 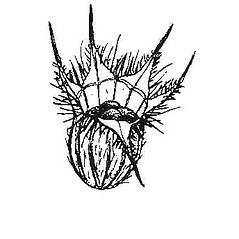 petals mostly 13-15 mm long, usually pink, the central lower lobe with a small notch (vs. petals mostly 15-23 mm long, usually white, the central lower lobe without an obvious notch). 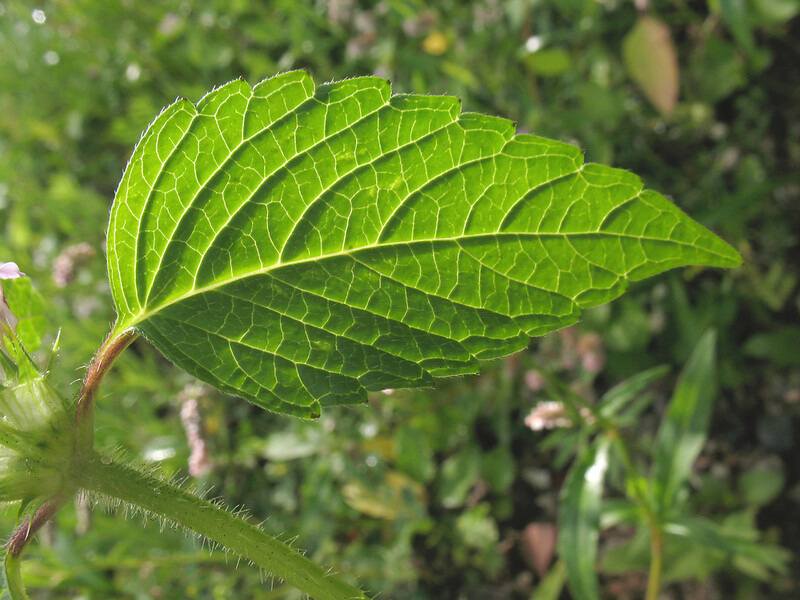 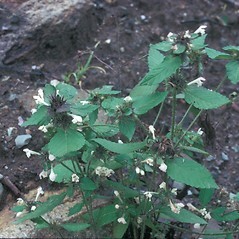 brittle-stemmed hemp-nettle. 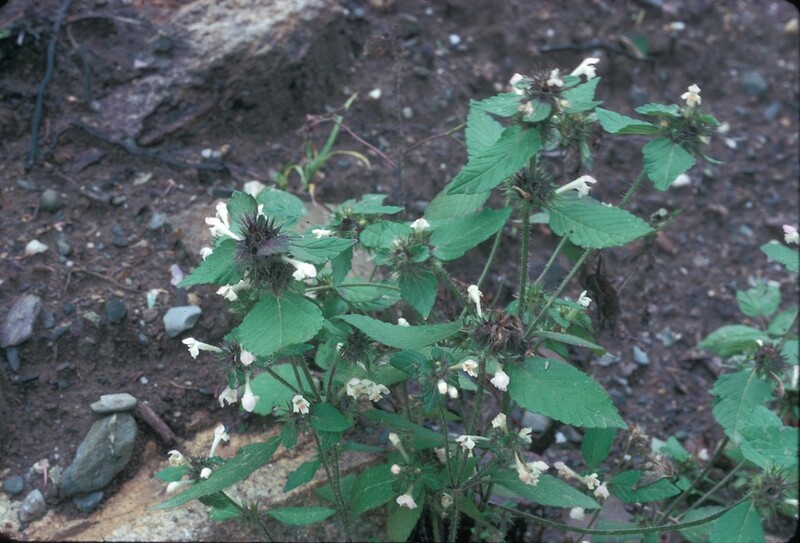 CT, MA, ME, NH, RI, VT. Fields, roadsides, waste areas, yards.